Versatility, scalability, power. And of course performance. You can access quality data on world markets coming from some of the most reliable sources and providers. 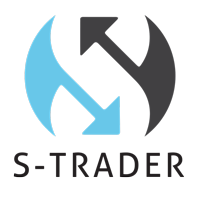 The S-Trader trading platform is compatible with many historical and streaming data sources to deliver the balance of versatility, performance and value you need. In addition, our specialists and programmers can help you integrate any additional data API you would like to integrate with the platform. Unlike other apps, the S-Trader platform can manage multiple simultaneous connectors. You can freely choose how some of your module instances or items are powered. Our S-Trader platform is developed on a completely customizable architecture. If the data feeds and APIs already integrated in our app do not suffice and you have more special requirements, our team of programmers and specialists can assist you plug in whatever local, downloadable or streaming data feed you need. Data providers or broker feeds can be supported alike. 180 days, true tick-by-tick including bid/ask price at time of trade. 1 Minute data back to 2005 for Forex and Eminis, back to 2007 for Stocks, Futures, Indices. Over 10 Years of Daily, Weekly and Monthkl data with back-adjusted continuous contract history. 500, 1300, 1800, 2500 depending on subscription level. 30 days tick-by-tick, up to 1 Year for extra fee. 1 Minute data back for 2 years. Daily data since inception for futures, since 1988 for stocks and since 2000 for Forex. 100, 200, 500 depending on subscription level. 1 Minute data going back 12 months. Over 12 Years of Daily, Weekly and Monthly. Available as Beta version only. 200, 500 depending on subscription level. Intraday data going back 14 days. Daily data up to several years back. .NET, COM and FIX v4.2/v4.4 . Tick data for the last trading session. Daily bars built out of 1 minute bars. Second, minute and daily data 1 year back. Limited to FX and select US futures. Java, C++ (POSIX-compliant), Python, .NET C#, C++ (MFC), ActiveX, DDE .